The Longest Shortest Time | Listen Free on Castbox. Author Dani McClain explains what makes mothering an inherently political act, especially for black women.To join the conversation, go to longestshortesttime.com! Sign up for our newsletter. Follow us on Instagram.This episode is brought to you by Mini Babybel, Goodnight Stories for Rebel Girls Podcast, ThirdLove, Bona Premium Spray Mop, Sweeping up the Heart by Kevin Henkes and Milk.Also, Hillary Frank's Weird Parenting Wins book is out! Many of you are in it. Get a *signed* copy here. When a bestselling memoirist took a DNA test on a whim, the results were confusing. But then, her whole life suddenly made sense.To join the conversation, go to longestshortesttime.com! Sign up for our newsletter. Follow us on Instagram.This episode is brought to you by Babybel, Bona Floor Cleaners, Panama City Beach, Milk, and ReserveDirect (code: LONGSHORT)Also, Hillary Frank's Weird Parenting Wins book is out! Many of you are in it. Get a *signed* copy here. When you decide to have a baby, you plan on extending your family. But when Nicole got pregnant, she took that really seriously.To join the conversation, go to longestshortesttime.com! Sign up for our newsletter. Follow us on Instagram.This episode is brought to you by Babybel, Bona Floor Cleaners, Panama City Beach, Mathnasium (or call 877-834-MATH), and By The Book.Also, Hillary Frank's Weird Parenting Wins book is out! Many of you are in it. Get a *signed* copy here. Toys are these powerful objects that test and tax the caregiving abilities of children and parents alike. Today on the show, an American Girl Doll superfan, Hillary Frank’s husband Jonathan Menjivar saves a life, and an overdue apology for Grandma Bertha. (Heads up, the first half of the show contains adult language. 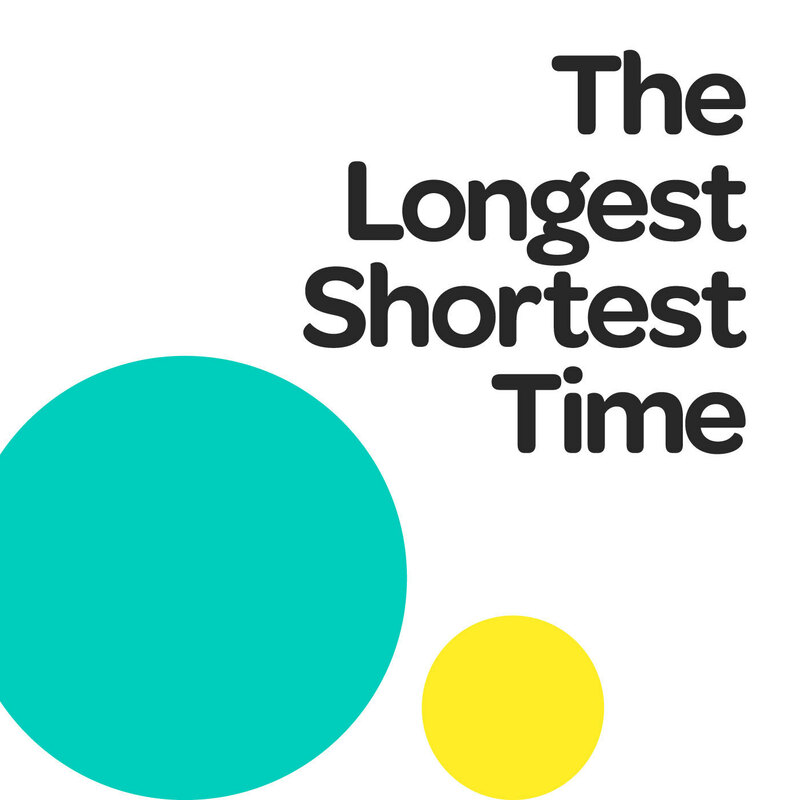 )To join the conversation, go to longestshortesttime.com! Sign up for our newsletter. Follow us on Instagram.This episode is brought to you by Mini Babybel, TurboTax, Third Love, Milk, and Panama City Beach.Also, Hillary Frank's Weird Parenting Wins book is coming! Many of you are in it. Order it here. We dive deep into the hit kids song and hopefully come up alive (doo doo doo doo doo doo).To join the conversation, go to longestshortesttime.com! Sign up for our newsletter. Follow us on Instagram.This episode is brought to you by Leesa (code: LONGSHORT),Babybel, Candid Co (code: LONGSHORT), Mace (code: LONGSHORT) and Hungryroot.Also, Hillary Frank's "Weird Parenting Wins" book is here, and she's heading out on book tour. Visit her website for the latest. Cartoonist Lucy Knisley couldn’t wait to draw the day her son was born. But how do you draw something if you can’t remember it?Heads up! This episode contains a traumatic birth experience.To join the conversation, go to longestshortesttime.com! Sign up for our newsletter. Follow us on Instagram.This episode is brought to you by Babybel, Leesa (code: LONGSHORT), ThirdLove, and Hungryroot.Also, Hillary Frank's Weird Parenting Wins book is coming! Many of you are in it. Order it here. When you're born into a family famous for their musical ties, is joining them a birthright or a curse? Lucy Wainwright Roche and her mom Suzzy Roche join us live in studio.To join the conversation, go to longestshortesttime.com! Sign up for our newsletter. Follow us on Instagram.This episode is brought to you by Mini Babybel, TurboTax, Leesa (code: LONGSHORT), The Real Real (code: REAL) and Moshi Monsters (code: LONGESTSLEEP).Also, Hillary Frank's "Weird Parenting Wins" book is here, and she's heading out on book tour. Visit her website for the latest. Our show’s host Andrea Silenzi is talking with LST’s executive producer/creator Hillary Frank today to answer parenting problems using only things Hillary has learned from making her book, Weird Parenting Wins.To join the conversation, go to longestshortesttime.com! Sign up for our newsletter. Follow us on Instagram.This episode is brought to you by Leesa (code: LONGSHORT), Mini Babybel, ThirdLove, TurboTax, CandidCo, and Josie & Jonny Are Having A Baby (With You! )Also, Hillary Frank's Weird Parenting Wins book is out now! Many of you are in it. Order it here. After Jessica gave birth to her first child, her own mother sabotaged her plans of postpartum bliss.To join the conversation, go to longestshortesttime.com! Sign up for our newsletter. Follow us on Instagram.This episode is brought to you by Evergreen Tidings From The Baumgartners, Mom And Dad Are Fighting, Candid Co, Grove Collaborative, and ThirdLove. Also, Hillary Frank's Weird Parenting Wins book is coming! Many of you are in it. Pre-order it here.We're doing our second overnight call-in show! Call 857-626-6561 between midnight and 3am Eastern on 12/25 to tell us about hiding from your in-laws, eating the cookies meant for Santa, or staying up with your screaming newborn...again. This would be so much better if the interviewer and interviewee did not display the most intrusive "vocal fry" I've ever encountered! Well done. Sound quality great. It is nice to hear that motherhood is not a walk in the park for others as well. It reminds me of a coffee house chat with moms sitting around talking about parenting and child birth stories! I would like more episodes. Maybe branch out more into toddlerhood. I have one 3 year old and three 1 year olds. The babies are a piece of cake compared to the 3 year old! I’m in grad school. I don’t have kids, and only a handful of my friends are starting families at this point. How did I even find my way here? All that aside, I really enjoy The Longest Shortest Time. I find Hillary Frank thoughtful and sincere, and, in my opinion, the topics are both interesting to and engaging for an audience wider than one might expect. I generally enjoy listening to this podcast, with the exception of a few episodes. Hillary does a great job of drawing out people’s stories. However, I am stunned by the dearth of cultural diversity among the subjects! I can recall only one episode that talked about the parenting experience of a black woman. There is so much richness to explore in the unique experiences of people of color, immigrants, and second generation people who are parenting as members of a different economic class than the one they grew up in. It seems that most guests are people Hillary knows one way or another, so they tend to be white and middle or upper-middle class. But she needs to try harder and branch beyond her social circle. OMG the end of this one made me cry!